As a fitness professional, I am asked daily my opinion on nutrition. My clients come to me wanting advice on how to lose the last 15 pounds, my opinion on the latest fad diet, how to improve their skin, how to quit sugar, and how to eat to feel as amazing as they look. I knew the answers, but as a fitness professional, it was out of my scope of practice to give this advice. My philosophy of living a WOW Life is so much more than fitness that I knew that I needed to get a certification in nutrition so that I could confidently and legitimately guide my clients towards living their own WOW Lives. I was a fan and follower of Keri Glassman, a nationally recognized celebrity nutritionist, registered dietician, and author. 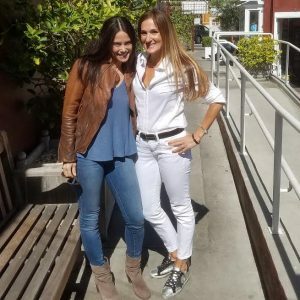 When I found out that she was opening The Nutrition School and offering a Nutritious Life certification program, I knew that I had to register! Keri’s philosophy on living a Nutritious Life is how I live my life. It was the perfect program for me. I completed the program in August 2014, and I am a member of the first graduating class! After completing The Nutrition School program, I went on to become a Holistic Health Practioner through the American Association of Drugless Practitioners. 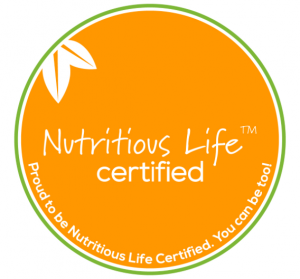 With these certifications in my toolkit, I can now help my clients achieve their goals through both nutrition and fitness. To find out more about working with me on your nutrition, please click here. If you are a fitness professional and want more information on The Nutrition School program, please click here.